Since our last update in January, health care organizations across the country posted 145 breaches of protected health information (PHI) affecting 500 or more individuals. 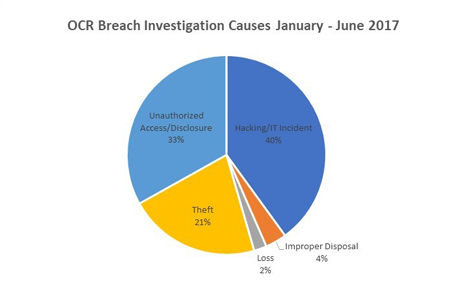 Most of the breaches (77 percent) were caused by unauthorized access and hacking. ASCs can take important steps to help prevent these sorts of breaches and limit their liability. ASCs are encouraged to review and update policies and procedures frequently that will help prevent unauthorized access, improper disposal, loss and theft of PHI. ASCs also can review the Office for Civil Rights’ (OCR) web site to review enforcement actions and consider how they can avoid the mistakes made by others. Below are selected enforcement actions that highlight a few precautions ASCs can take.